Can Tink come out any play? 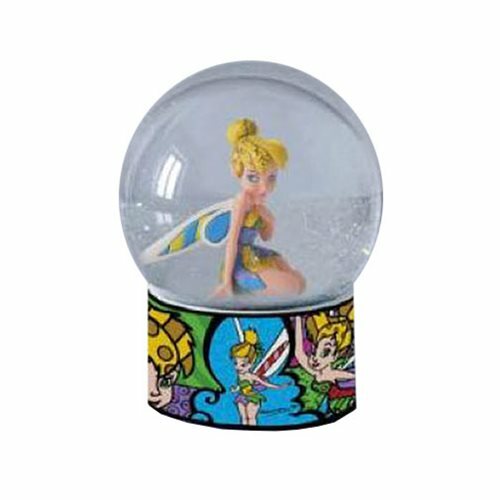 Not really, but you can gaze in wonder at her in this magical Disney Fairies Tinker Bell Snow Globe by Romero Britto. Made of polyresin with a liquid fill, it measures about 5 1/10-inches tall x 3 9/10-inches in diameter. Peter has one and so should you!